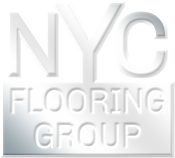 At NYC Flooring Group, our New York Wood Flooring experts have many years experience with the sales and installation of the many types of wood floors such as hardwood floors, engineered wood floors and laminate wood floors, and will help you be better prepared as to the type of flooring best suited for your home, in reference to floor's location and the type of sub floor, as well as if the room is above or below ground level (grade). The construction of engineered wood floors makes them less prone to expansion/contraction caused by humidity. Engineered wood floors can be installed on any level within the home, over a variety of sub floors. The hardwood floors collections consisting of the finest exotic hardwoods found world-wide will offer unique and striking appearances not found in North American hardwoods. Unfinished wood floors need several days of installation, including staining and finishing, while pre-finished floors can be installed and completed the same day. Pre-finished wood floors with factory applied Scotchgard or CrystalShield finishes are extremely durable. NYC Flooring Group provides New York wood flooring installation, Manhattan wood flooring installation, Brooklyn wood flooring installation, Queens wood flooring installation, Long Island wood flooring installation, Nassau County wood flooring installation, Suffolk County wood flooring installation, Bronx wood flooring installation, Westchester wood flooring installation. When looking for wood flooring prices, contact us so you can receive our 110% price match guarantee. When shopping for wood flooring, you won't find prices lower than ours.